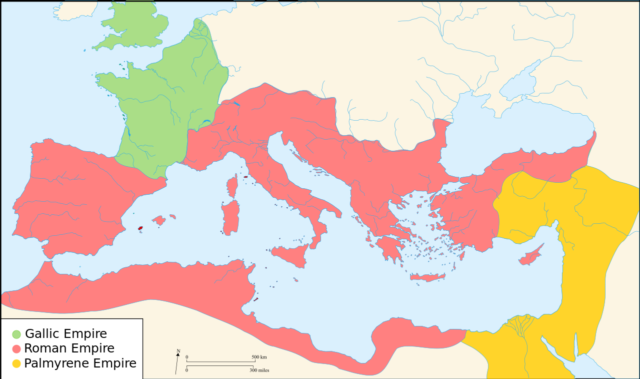 What if Crassus won at Carrhae: A Roman Middle East? A Bigger Civil War? What do You Think? Crassus is an interesting character in Roman history. He was incredibly wealthy, one of the richest men before the emperors, but craved some military glory. He successfully put down the Spartacus Rebellion, though the slaves who escaped the last big battle were captured by Pompey, who was able to steal much of the glory from Crassus. Even so, the victory brought Crassus to the level of Pompey, and the upstart Caesar. Together the three formed a political Triumvirate that would essentially dominate Rome. Crassus had a successful public life, running successful, if predatory, businesses, but sought more military glory to better compete with the established feats of Pompey in the east and Caesar’s immensely publicized success in Gaul. Left to right- Caesar, Crassus, and Pompey. together they kept some semblance of stability in an increasingly unstable Republic. In a meeting of the Triumvirs Crassus was able to secure the governorship of Syria, a very wealthy area that bordered the Parthian empire. Crassus hoped to gain fame by conquering farther east than any previous Roman. Gaining Mesopotamia would give Crassus huge power and a wealth base big enough to compete with Caesar and Pompey. Surena was a very skilled general who played to the strengths of his army and the weaknesses of Crassus’ legions. Unfortunately for Crassus, he met his fate at the battle of Carrhae. The Roman legions had no answer for the flood of arrows launched by the nimble Parthian horse archers. A hollow square formation simply prolonged the exposure to arrows. Crassus ordered a breakout charge, but this failed when confronted with the heavy Cataphract charge. Crassus’ son was killed and Crassus was killed the next day during failed negotiations. The battle was a humiliating defeat for Rome. Tens of thousands of men were killed or captured and the balance of power now shifted to head to head tensions between Caesar and Crassus. Civil war would erupt soon after Crassus’ death. 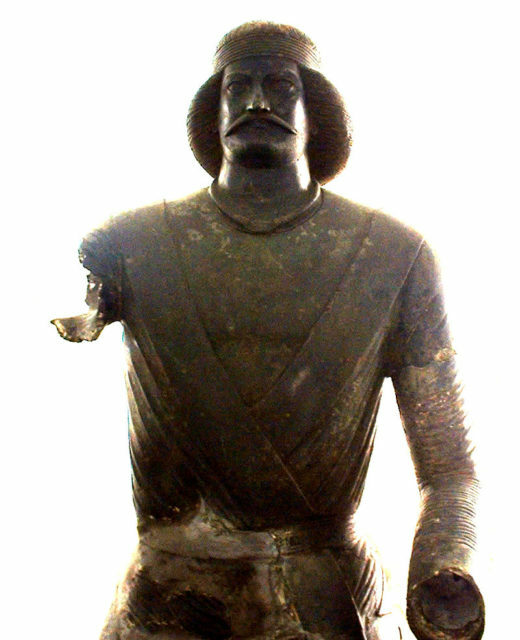 The Parthians would remain a power for centuries. But what if Crassus didn’t lead his army into total annihilation? What if the Romans had actually engaged the Parthians under Surena and won a decisive victory, maybe even ran a successful Parthian campaign? As with any “what if” question, no answer is the right or wrong one, and there are infinite possibilities. In this case, the possibility of a civil war is intriguing. It may make sense for Crassus’ victory to keep the stability in Rome as all Triumvirate members would be alive and on fairly equal footing. The Triumvirate may have persisted until the later deaths of the members, fading back into a republic. Two possibilities exist for an even larger civil war than happened with Caesar and Pompey. Just because the Triumvirate had a balance of three people, doesn’t mean that those three couldn’t declare war on each other. This free-for-all actually came to pass much later in Rome’s history. The crisis of the third century pitted Gaul against the Central-Mediterranean empire and the Palmyra/Roman Empire in the east. 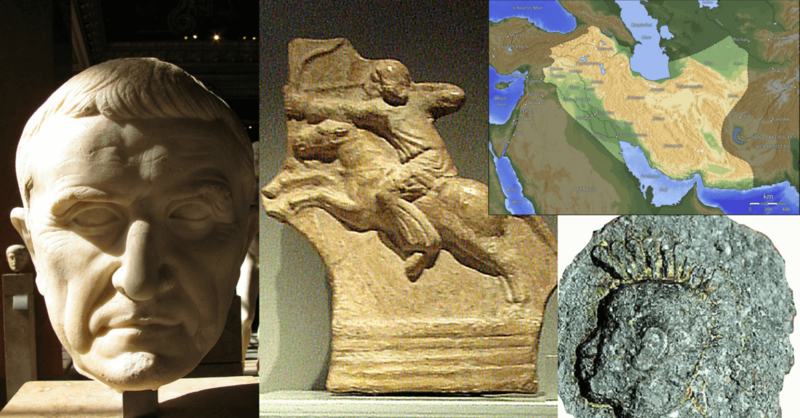 A brutal series of wars unfolded among the three regions that greatly weakened the Roman Empire. In addition to the three now mostly equal powers fighting each other, the possibility of passing the torch would be quite real. Crassus had a son who was also killed at Carrhae. Had he survived, with a heroic charge to win the day at Carrhae under his belt, he would have been fairly qualified to take his father’s position. Pompey’s son also fought a good fight in the historical civil war, so he would make a natural fit after Pompey. Caesar, obviously, had Octavian. Given this setup, a civil war may have ended up with Octavian seizing power as “first citizen” similar to how events unfolded in reality. The idea of a Roman Mesopotamia is also interesting. The complete failure of Crassus’ army at Carrhae makes this “what if” quite a stretch. Perhaps the charge led by Crassus’ son Publius would be successful and backed up by competent infantry maneuvers. This “what if” also includes a successful Parthian campaign. This addition is because the loss was catastrophic for the Romans, but if the Romans had won it would have been a small defeat. About 10,000 troops were there for the Parthians, but they were able to field far more, so just a Roman victory at Carrhae would have been a good start. This would have secured much of Mesopotamia and may even have extended as far as Pakistan. Holding the area isn’t so far-fetched as the regions had a lot of Greek influences. The culture would be quite different, but Greek was an official language of Parthia and a commonly spoken language of the Roman elite. If Gaul could be integrated until the fall of the West, than Parthia wouldn’t be too much of a stretch, even with the distance from Italy. From here, it would be quite questionable. Parthia would be held, but where too next? Egypt was a quasi-ally/dependent of Rome, and there really would have been little reason to extend into the Arabian Peninsula. India would await, but would contain an overwhelmingly vast supply of manpower. Such a distant campaign would require a massive army led by a supremely talented general. What the Romans would have in owning Parthia would be a massive amount of potential money. 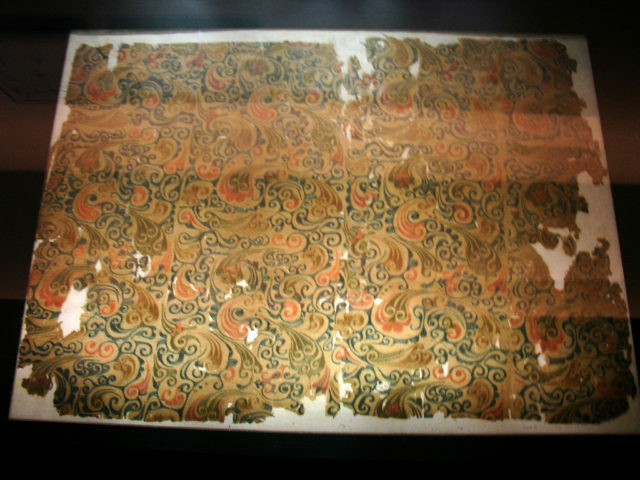 A large chunk of the Silk Road ran through the region, bringing both tax profits as well as easy access to trade going east and west. Control of Mesopotamia would also grant ports in the Persian Gulf. This would have massive implications for the future of Rome. Rome would have trade monopolies in Europe earlier and with more control than they ever did in real history. Trade with all of coastal India would likely have led to direct sea trade with China and likely an earlier trade connection with East Africa. Even with a civil war, Rome would still have an immense amount of riches flooding in. After these possibilities, it is important to step back and realize that the Romans would have a hold on one of the most unstable regions throughout the history of the world. Mesopotamia was a highly sought after location and the region faced almost constant invasions from desert or mountain populations looking for a better place. Take the rapid Muslim expansion of the 7th century CE. It was so unexpected and powerful that it was essentially unstoppable. So while the region may have been conquered it could have been conquered by another power or even simply abandoned later on, as it was after Trajan’s conquests. 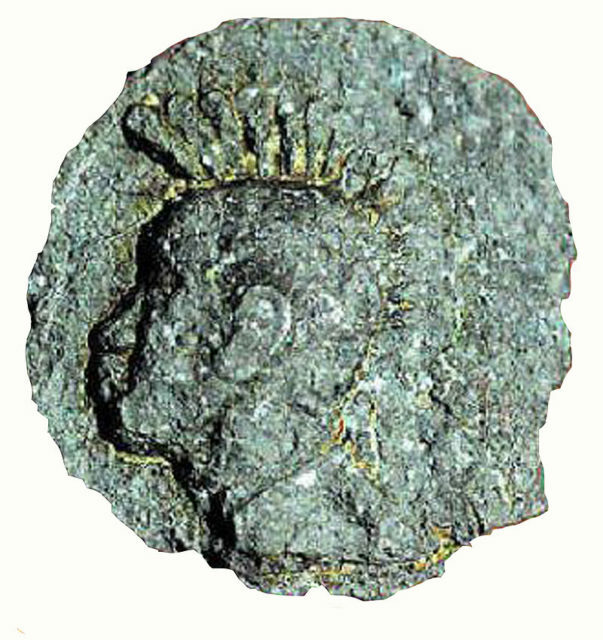 A coin found in India depicting a ruler, but wearing a Roman helmet. even if Mesopotamia was eventually given up, Roman culture would likely have infiltrated Asia much more than it already did. As a final possibility, a successful campaign in Mesopotamia and further east would have really stretched the Romans out. This could have led to an earlier separation of the Empire, though likely not at Byzantium/Constantinople. Antioch, on the coastal border of modern Turkey and Syria, would have been the most likely spot. By the time of Octavian, the city had half a million residents and had a network of walls as several walled cities merged to form the metropolis. The city would have a strong command of much of Mesopotamia and modern Turkey while still being by the Mediterranean coast. Probably the most likely possibility would be a three-sided civil war about as destructive as the historical version, likely resulting in the creation of an empire. Mesopotamia probably would have a 50/50 chance of staying in Roman hands for more than a generation, but hey, anything is possible in “what ifs”.